Through our evaluation work since 2004, we have found that there is a relationship between attending field days, adopting conservation practices and influencing other farmers. We call this our Field Day Success Loop. Iowa Learning Farms has learned the importance of taking a closer look at who among field day attendees is networking with other farmers and discussing conservation ideas. Since 2013, the number of farmers who attended field days and networked conservation ideas with other farmers continues to increase – from 65% in 2013 to 68% in 2017. A follow-up question on our year-end evaluation asks “How successful were you?,” and asks if farmers were able to influence zero, one, or two or more people when they networked conservation ideas with other farmers. Of those attendees who networked in 2017, 60% reported that they were successful in influencing at least one other person. We know that some farmers network about conservation ideas and others do not. Certain factors make respondents more likely to connect with others and network about conservation ideas. Those respondents who have more years of experience with cover crops and those who attend more field days are more likely to report networking conservation ideas. Particularly in 2017, respondents who farm a larger number of total acres were more likely to report networking conservation ideas. Field day attendees are networking with their peers, influencing farmers who did not attend the field day, thus creating a multiplier effect. In 2017, 68% of farmers who attended an ILF event said that they networked. As a result, farmers are extending influence to 55% more farmers than attended the event. That’s a $1.55 value for every dollar invested in ILF. Field days make sense! Keep up to date on upcoming field days in your area by following us on Facebook and Twitter or visiting our events page. Hope to see you at a 2018 Field Day! You planned your event – lined up the space, speakers, meal – and had a great turnout. Congratulations! You’re done now right? How do you know if your event was effective in meeting your outreach goals? What could have been done differently to improve the effectiveness? Asking for attendee feedback is a useful evaluation tool that can be used to make decisions on what worked well and what doesn’t. 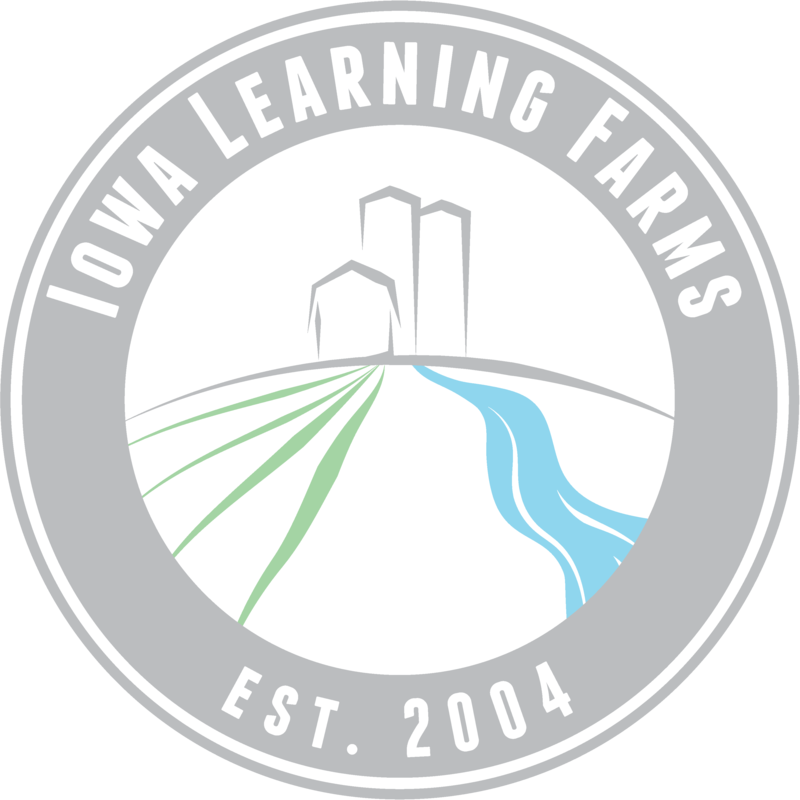 In addition to self-reflection on the event, asking for attendee feedback is one of Iowa Learning Farms’ key tools for planning and holding well attended and effective events. Through our two-week follow up evaluation we gather feedback on the effectiveness of the field day to help us improve future events. Using a five point scale, attendees are asked to rate the overall quality of the field day, effectiveness of expert presentations (ILF, ISU Extension and Outreach, NRCS, PFI, etc. ), and effectiveness of farmer presentations. All three categories saw improvement over 2016 numbers. The effectiveness of expert presentations saw a 10% increase over last year in the people who considered it excellent and the overall quality of the field day or workshop metric saw an 8% increase over last year in the people who considered it excellent. In addition to the information above in our Year End Evaluation Report, we also compiled our Individual Field Day Report. This report breaks out the evaluation responses by event, as well as how far attendees traveled to attend the event to help with field day promotion efforts – see map below. An example two-week evaluation is available in our Field Day Marketing Toolkit and we encourage you to modify it and use it for your own event. We are currently revising the evaluation to add more specific questions aimed at improving program content and format. This will be included in the Toolkit update later this spring. In 2017, Iowa Learning Farms hosted 29 conservation field days and workshops across the state with the goal of reaching out to farmers/operators and landowners. Introduced this year was a new component of our evaluation process – the demographic card. The cards helped provide a snapshot of attendees in terms of their age, gender, role in agriculture and information about their farming operation. The cards also capture preferences on timing and topics of interest for future outreach events. Midway through 2017, we started to use this information to help us plan better events for the second half of the year. We will continue to experiment with time of day and week for field days to see if we can’t get a better diversity of audience. Total number of demographic cards collected in 2017 was 915.
Who attended ILF field days in 2017? Eighty-three percent of the field day attendees identified themselves as either farmers/operators or landowners. Two percent of the attendees were new to farming and four percent would like to start farming. In 2018, we want to explore reaching out to those populations better. About half of respondents indicate they own over 75% of their land. However, when looking at respondents aged 50 and under, that changes dramatically to 57% of respondents reporting that they own 25% or less of their acres. Faced with many acres changing hands in the next five to ten years, it is important to continue to develop outreach materials and plan events accessible to both landowners and farmer/operators. To reach our goals of increasing conservation implementation, it will be a coordinated effort by both landowners and those who actively farm. The average age of farmers/operators attending ILF field days was 55 years, which was slightly younger than the average age of a farmer in Iowa (57 years). This finding has been consistent in the four years that we have been tracking age information. The average age of landowners attending ILF field days was higher at 64 years. In general, field day attendees indicated a preference for Wednesday field days that were held in the afternoon or after 5 pm. Seventeen percent of our field day attendees are 35 years or younger; 80% of attendees are men while 20% are women. On average, farmers in this age group farm 739 acres of row crop land (range of 40 – 3,500 acres) and own 25% of their farmland. Nearly 57% of respondents in this category reported that they did not own any of the acres that they currently farm. Livestock is an early entry point for the next generation to begin or return to the farm. Nearly 60% of this group reported having livestock compared to 45% of respondents in all age groups who identified as farmer/landowner. These younger attendees indicated a preference for events held on Saturdays (48%) followed by Tuesday-Thursday (42%) after 5 pm (50%). We in the process of updating the ILF Field Day Toolkit and add these findings to event planning best practices.